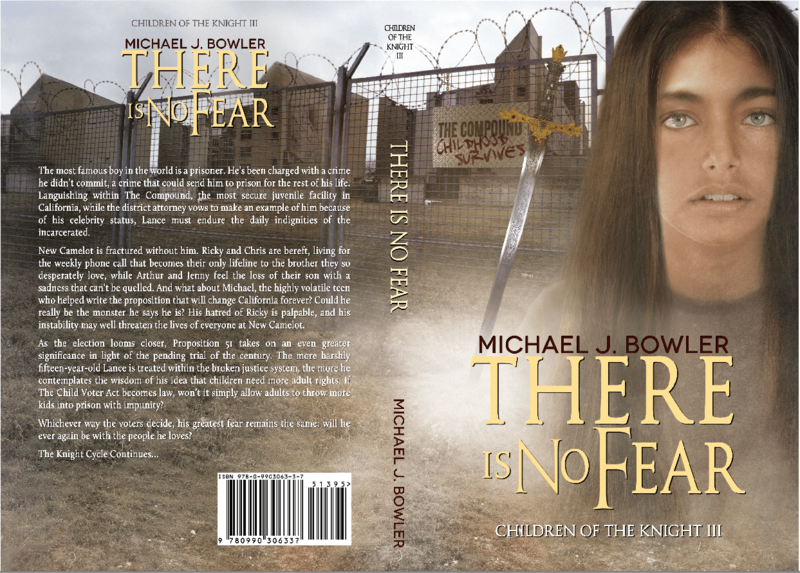 “Children of the Knight III: There Is No Fear” releases on Thursday, July 17th. Links will be posted at that time. 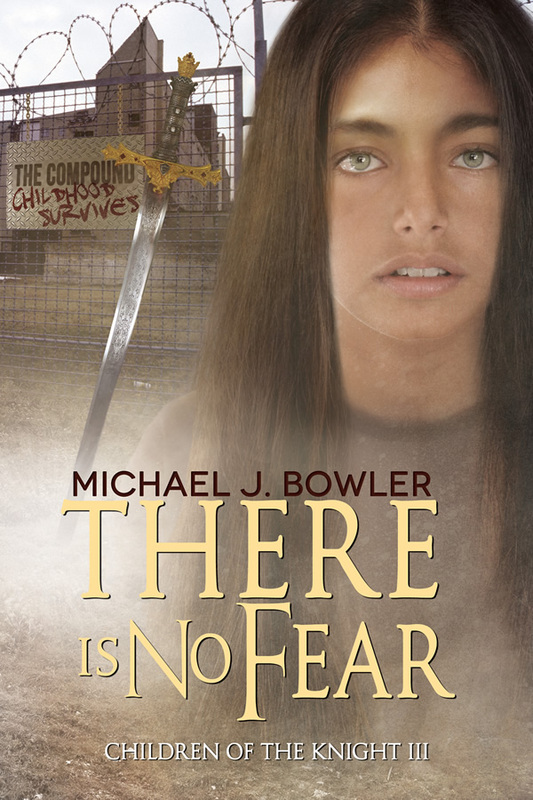 This is the third book in a five-book series that began with “Children of the Knight” and continued with “Running Through A Dark Place” that explores the whole “children are property” mentality infesting American society, and how that mentality has led to the marginalization and throwing away of more and more kids each year. Kids who don’t fit, are poor, gang-involved, gay, or in any way don’t fit the “mold” adults set for them are targeted for jail, prison, “re-education” farms, neglect and abuse. They have no real rights as human beings under the Constitution except the right to be sent to prison when they seriously screw up. Join a multi-racial group of teens who band together under the leadership of a resurrected King Arthur and his adult allies to right the wrongs that have been perpetrated against them, and to gain children in America real rights and protections under the law. These books do need to be read in order because they are one long continuous story spanning four years. Check out the reviews of the first two books, but beware of spoilers, especially in those for “Running.” The covers for my books have all been designed by the amazing Reese Dante, whose praises I can’t sing more loudly. She is immensely talented and a joy to work with. Authors – hire her – you won’t be disappointed! The most famous boy in the world is a prisoner. He’s been charged with a crime he didn’t commit, a crime that could send him to prison for the rest of his life. Languishing within The Compound, the most secure juvenile facility in California, while the district attorney vows to make an example of him because of his celebrity status, Lance must endure the daily indignities of the incarcerated. New Camelot is fractured without him. Ricky and Chris are bereft, living for the weekly phone call that becomes their only lifeline to the brother they so desperately love, while Arthur and Jenny feel the loss of their son with a sadness that can’t be quelled. And what about Michael, the highly volatile teen who helped write the proposition that will change California forever? Could he really be the monster he says he is? His hatred of Ricky is palpable, and his instability may well threaten the lives of everyone at New Camelot. As the election looms closer, Proposition 51 takes on an even greater significance in light of the pending trial of the century. The more harshly fifteen-year-old Lance is treated within the broken justice system, the more he contemplates the wisdom of his idea that children need more adult rights. If The Child Voter Act becomes law, won’t it simply allow adults to throw more kids into prison with impunity? Whichever way the voters decide, his greatest fear remains the same: will he ever again be with the people he loves?